Song of the Sea is breathtaking to behold, and not only for the lovely painterly landscapes which seamlessly share the screen with bolder graphic elements. At its core, Song of the Sea is a truly heartwrenching, yet also cheering, family story. But it’s also a lot more. A timeless aesthetic enables a recognisable modern world to sit comfortably alongside the film’s folklore influences, although the plot may be a little convoluted for young children to follow. Older audiences, however, will appreciate Moore and Collins’ multiple narrative levels, even if their allegory is a touch obvious. 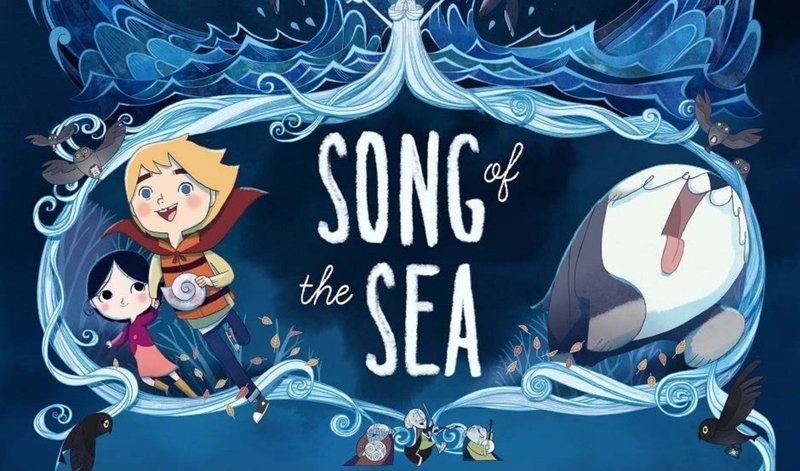 It’s not fine-tuned for a dual audience of adults and children, but Song of the Sea’s advocation of experiencing all feelings – both negative and positive – is perfectly matched by its considerable emotional impact. Song of the Sea is released on 10th July. This entry was posted in Film Reviews, Mini-reviews and tagged Brendan Gleeson, David Rawle, Fionnula Flanagan, Lisa Hannigan, Lucy O'Connell, Song of the Sea, Tomm Moore, William Collins. Bookmark the permalink.